Are you struggling with debt and looking for a new start to build your family’s financial future? If you’re just getting by and barely making the minimum payments on your credit card, your mortgage, or other debts, you may be able to get some relief by filing Chapter 7 bankruptcy in Tennessee. Bankruptcy is not a get-out-of-debt-free card, but it can help you erase some of the burden of debt that is keeping you from getting ahead on your finances. 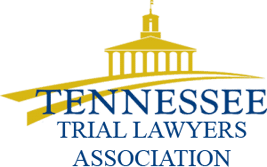 The simplest and quickest way to file for personal bankruptcy in Tennessee is with a Chapter 7 bankruptcy, also called a Straight Bankruptcy or liquidation. If you are faced with rising interest charges and you can’t see how to pay off your debt within five years, Chapter 7 bankruptcy may allow you to keep certain important assets while getting your creditors off your back. 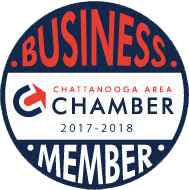 To find out if you qualify for Chapter 7 bankruptcy in Tennessee, schedule a consultation with the experienced Chattanooga bankruptcy attorneys of Wagner & Wagner. We’ll help you take stock of your assets and your debt and figure out if Chapter 7 bankruptcy is the right choice for you and your family. What can I keep after I file for Chapter 7 bankruptcy? The reason Chapter 7 bankruptcy in Tennessee is often called liquidation is that the bankruptcy court has the power to liquidate, meaning sell, some of your assets to pay off your debts. Don’t worry. The bankruptcy attorneys of Wagner & Wagner know how to guide you through the bankruptcy process and hold on to as much of your personal property as possible. Realizing that your debt has gotten out of hand can be an overwhelming experience. Unlike your creditors, our experienced Tennessee bankruptcy attorneys are looking out for your family’s best interests. We’ll help you figure out if Chapter 7 bankruptcy or Chapter 13 bankruptcy is right for your family, and Wagner & Wagner will protect your assets while you go through the bankruptcy process. Wagner & Wagner Attorneys at Law is a Chattanooga law firm to handle your bankruptcy. 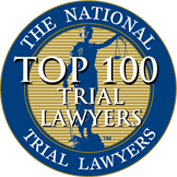 Call 423-799-3532 or contact us today to schedule a free consultation with a bankruptcy lawyer and get answers to your questions about debt relief. We proudly serve clients in North Georgia, Cleveland, TN, and the surrounding areas.